My goal in my sales is to over describe and to highlight issues (especially in the photos). This is to save everyone time, tire kicking and grief. Please read the advertisement carefully and look at the photos carefully. ** Everything works as it should (cannon etc) except for the one item I noted below. 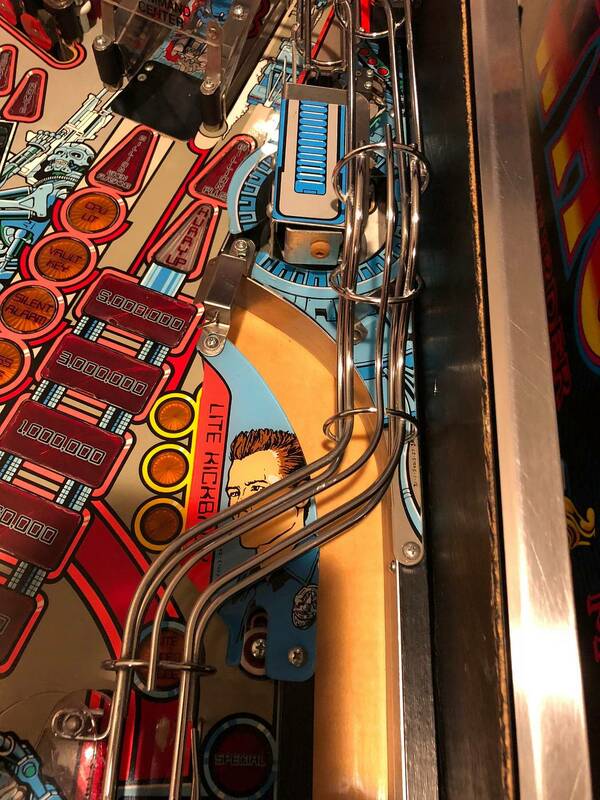 ** Game features a Rottendog MPU replacement board. 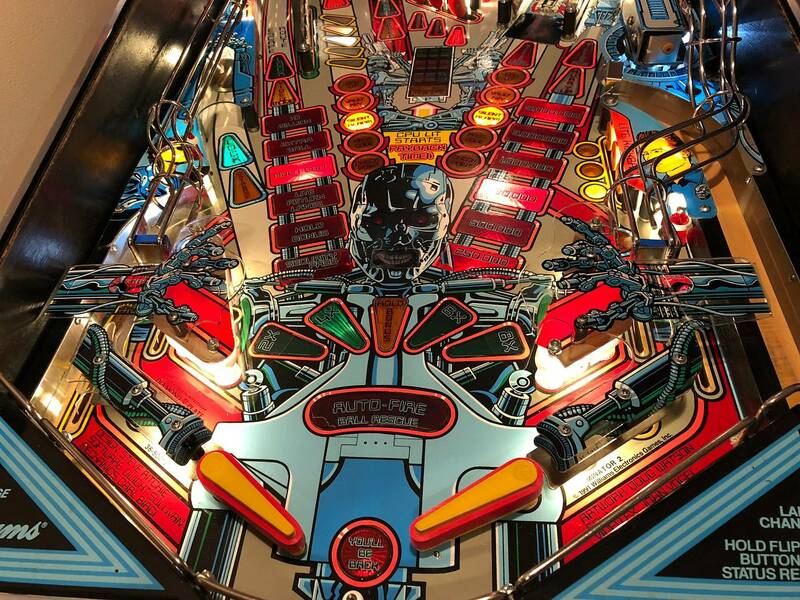 ** Just before Christmas I tore down much of the playfield and cleaned/waxed and installed Cliffy protectors. 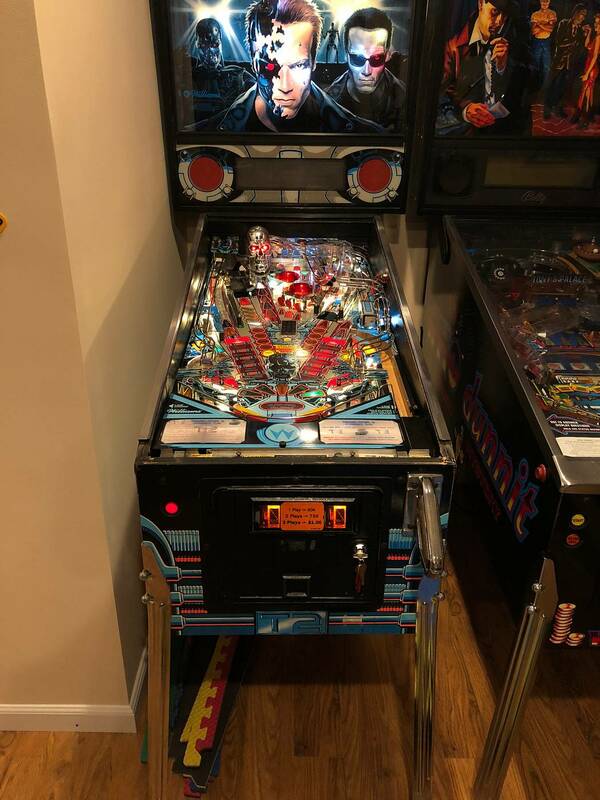 I also rebuilt the left flipper. ** All LEDs except for about 4-5 controlled lights which were slightly ghosting. A few lights in the backbox (flashers) may still be non-LED but most were converted. ** Most recent software installed (so not the profanity rom). 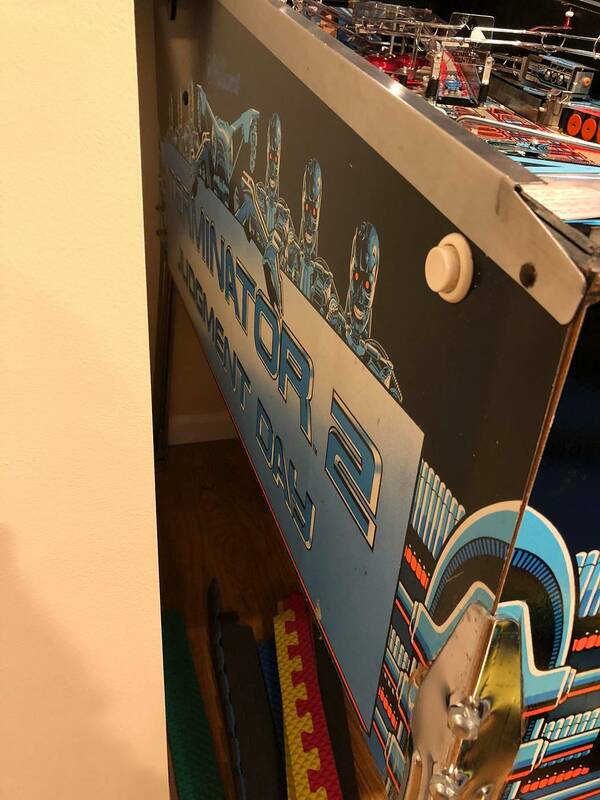 ** NVRAM installed (NO BATTERIES NEEDED)! 1. 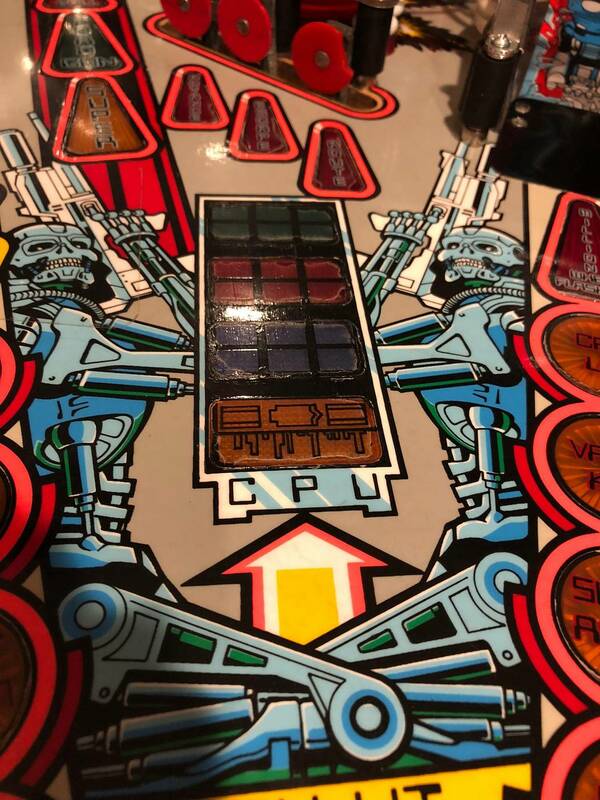 The four lights on the playfield (labeled for the payback feature) were daisy chained to other controlled lights when I got the game. After digging I found their proper connector and plugged them in. It appears the driver board needs a transistor replaced as they do not come on. 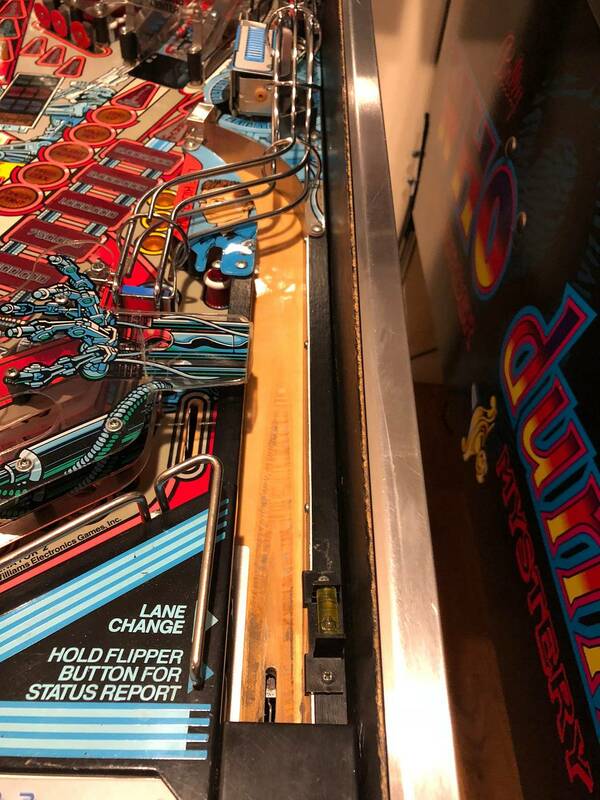 I have not done any troubleshooting beyond my thread here on pinside as the issue didn't impact the game's playability at all. 2. Game is missing Hunter ship however I have a new one I can install before selling the game. 3. 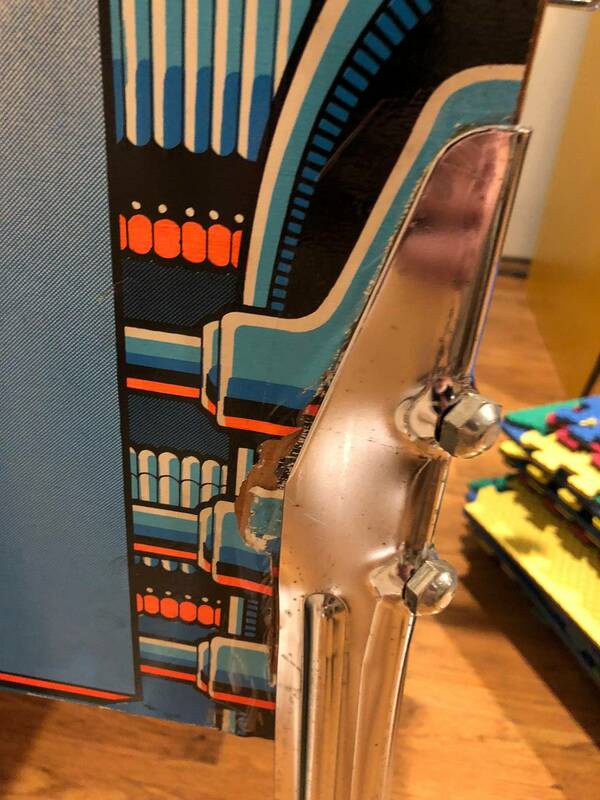 There is some playfield wear (looks mostly like the clear around the inserts). 4. 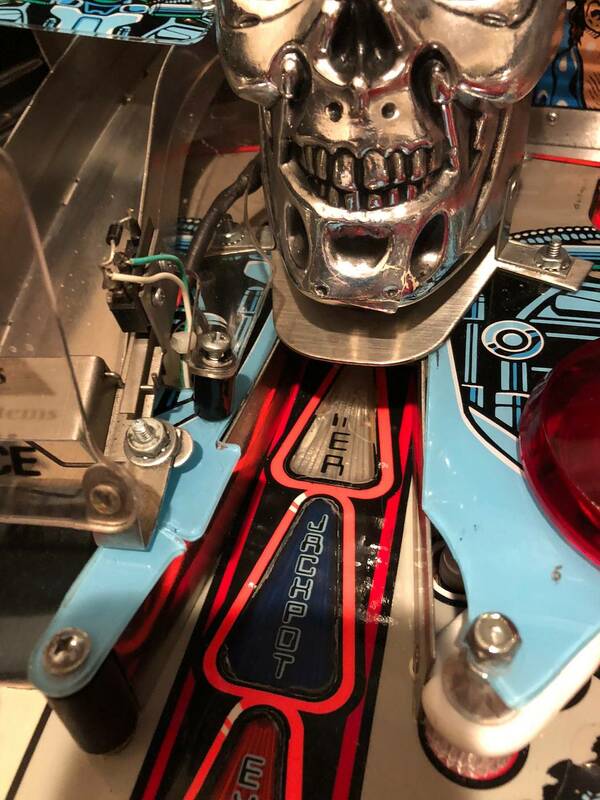 I think the Terminator mouth on the playfield may be a sticker (not 100% sure). 5. 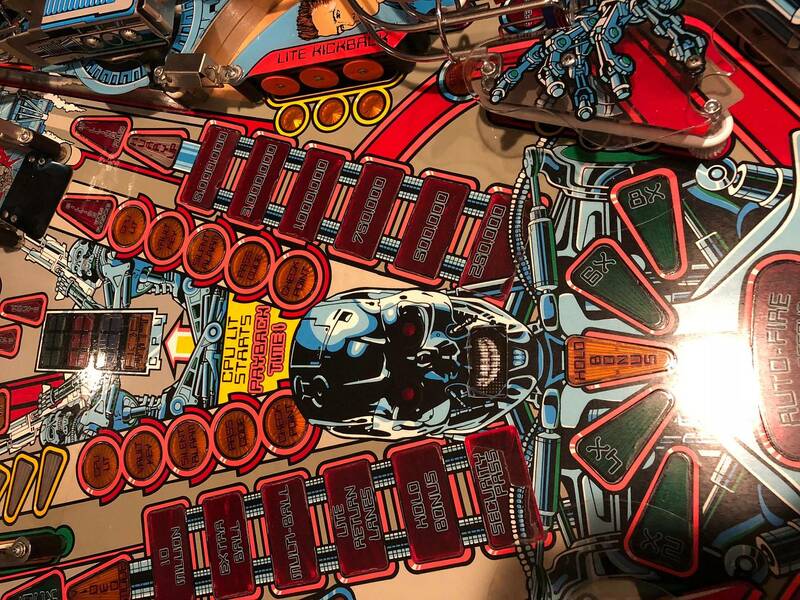 There are two cracked plastics around the Terminator head. One you can see the other is behind the head and you can't see it. 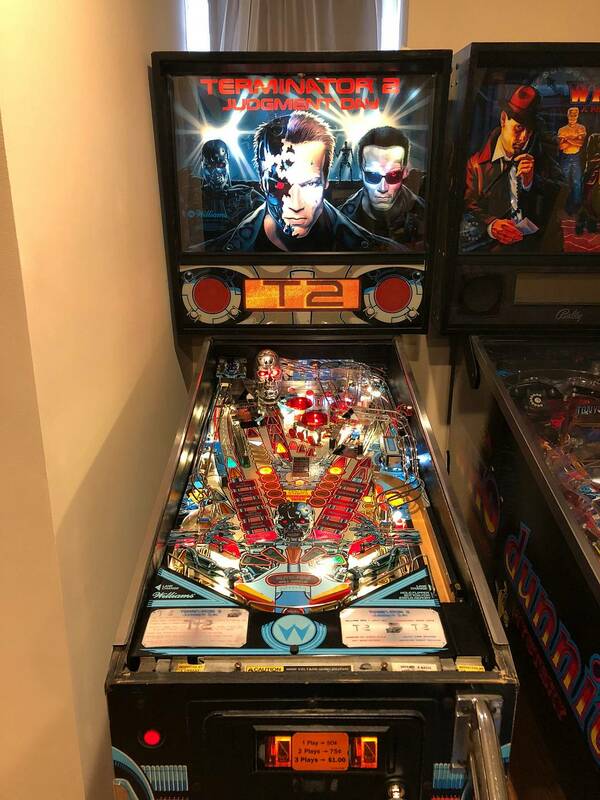 Game is located in my garage for an easy load into your vehicle. Cash only - unless you want to trade a Southpark, Jurrasic Park, Funhouse or a Stern Pirates of the Caribbean. [I would add cash as appropriate for such a trade]. These are brainmegaphone's all time market stats.